The local craft beer industry now merits academic study. SDSU’s College of Extended Studies launched a professional certificate program called the Business of Craft Beer set to start in the fall semester. 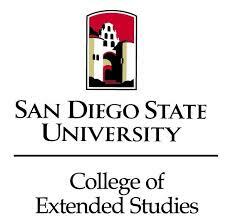 According to SDSU, the program will offer students (who must be at least 21 years old) an opportunity to learn from instructors who are professionals in the industry in an interactive, hands-on learning environment. Classes will be held at both on-site breweries and SDSU, allowing students to network with industry experts, the college said. In addition to actual brewing, the program will give students some insight into other aspects of the trade including packaging, engineering, maintenance, information technology, logistics, management, finance, sales and marketing, the college said. At last count San Diego was home to about 60 craft breweries but more than a dozen are in the planning stages.